Situated in the state of Michoacán de Ocampo, Cherán is a remote village of Mexico with a population of 16,000. Cherán consists of four communities of indigenous people known as Purépecha. They follow ancient traditions and also have their own dialect of Purépecha, a language spoken by more than 175,000 people in the highlands of Michoacán de Ocampo. 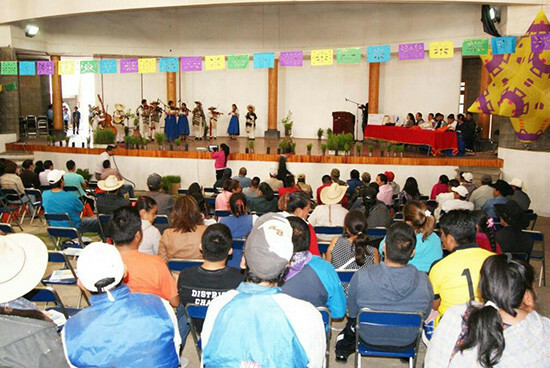 The Purépecha people depended on the 27,000 hectares of forest teeming with ancient oak trees and fauna that made up Cherán until it suffered forest looting and rising violence led by those looking to exploit its natural resources. In 2011, in a bid to take back their community and restore the forest, the Purépecha people established the K’eris Council (a council of elders in Purépecha language) as a body of self-governance. 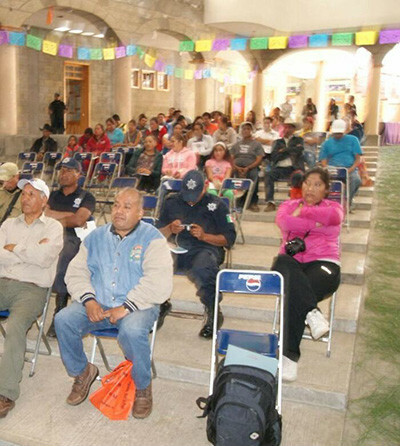 Also establishing their own police force or “community guard,” they have ensured the protection of the natural habitat from further exploitation, and have kept safety and security within the community. 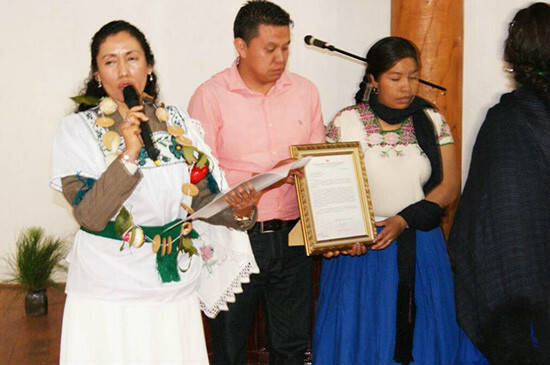 As reported by the Council Mayor of the Cherán Community, since the beginning of 2015, the brave and wise Purépecha people have planted 1,600,000 trees in more than 3,500 hectares of land for reforestation. This plant nursery dedicated to reforestation also improved their economy by giving employment to its residents. Other community projects committed to preserving their surrounding nature and to sustain their economy included work for the residents in sand mines, sawmills and as carpenters, with profits managed by the community. Their four years of constant efforts have received recognition across the country and in many parts of the world. 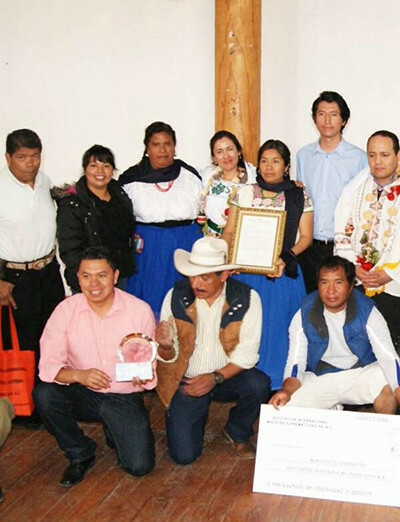 The Council Mayor of the Cherán Community also reported that they have been invited by several countries in the European Union to lecture on the management of natural resources and self-governance. 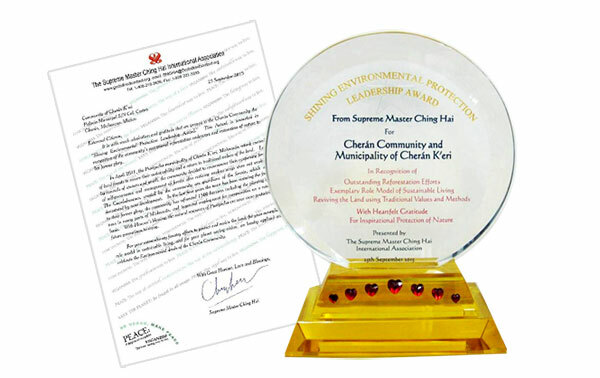 Supreme Master Ching Hai was deeply moved when hearing of the noble efforts the Purépecha people in Cherán have shown to protect the forest, even at the cost of some of their lives in the process. 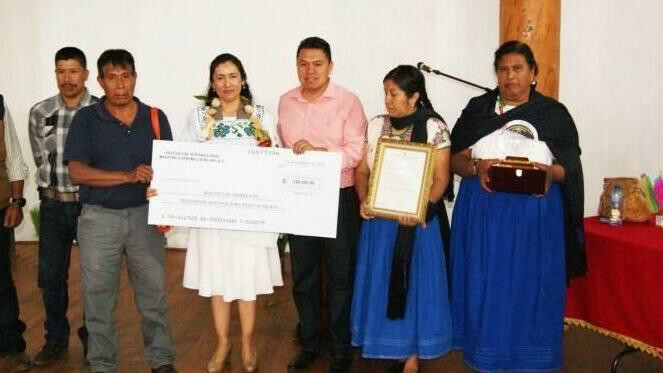 She honored them with the “Shining Environmental Protection Leadership Award” and gave a US$20,000 contribution, which was presented by our Association members from Mexico Center on November 7, 2015. 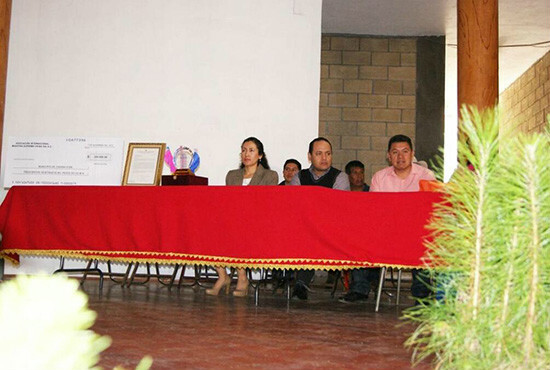 The award ceremony took place in the auditorium of the Cherán community. The talented Cherán children’s symphony orchestra performed for the event. With sincere gratitude to Master for Her loving acknowledgment of their efforts and Her generous contribution, the K’eris Council sent Her customary gifts including candies, bread and traditional wooden toys that they made. 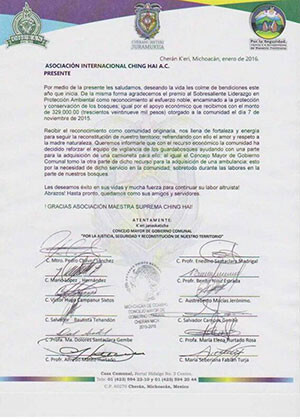 They also sent a letter of appreciation on behalf of the community of Cherán. Master’s fund will be used to maintain the forest service equipment and to acquire an ambulance for the community. 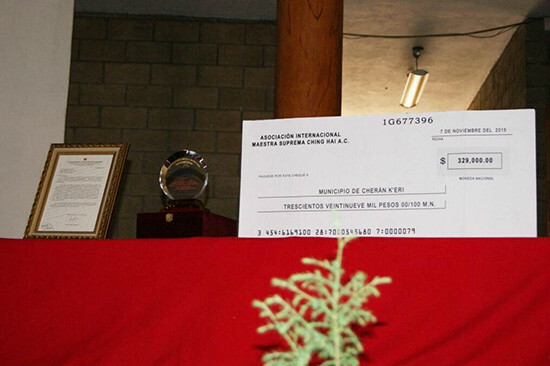 With Master’s blessing, may the Cherán community continue to flourish and prosper, restoring the beautiful forest for future generations.